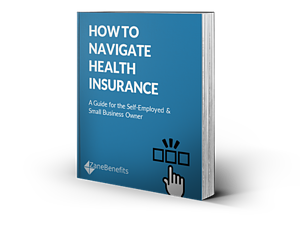 Zane Benefits, the leader in individual health insurance reimbursement for small businesses, announced today the publication of a new eBook, "How to Navigate Health Insurance - A Guide for the Self-Employed and Small Business Owner." The guide helps small businesses navigate health insurance and offer excellent health benefits at a controllable cost. According to Zane Benefits, small business owners often struggle to understand health insurance. As a result, it is difficult to know what type of healthcare benefits to offer employees. And, when you look at the statistics, it's not at all surprising. One survey found that 86% of Americans are unable to identify the most basic health insurance terms. Additionally, half of Americans (22.3 million) who work for small businesses or who are self-employed are uninsured. According to Zane Benefits, it’s apparent that many Americans do not fully understand what their options are for health insurance - including small business owners. The new easy-to-understand guide is designed to help small business owners navigate health insurance options.